Earthquake at 3:26 AM: 9-3-12 - Yo! Venice! A minor earthquake occurred last night at 3:26:55 AM. 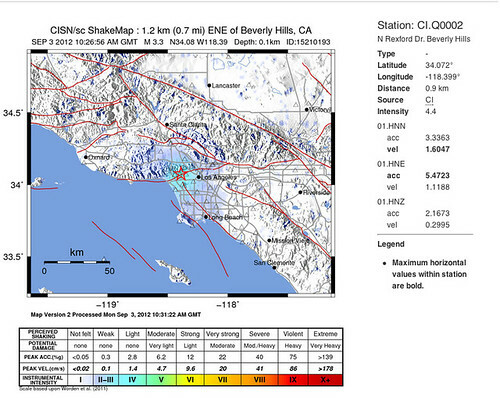 The magnitude 3.2 event occurred 1 km (1 miles) ESE of Beverly Hills. The hypocentral depth was 2 km ( 2 miles).